We have been working SO hard this weekend in our new house… painting cabinets, wacking shrubs back, erasing spiderwebs, and painting shutters. It’s been amazing to see how much we’ve been able to accomplish in just a few days! 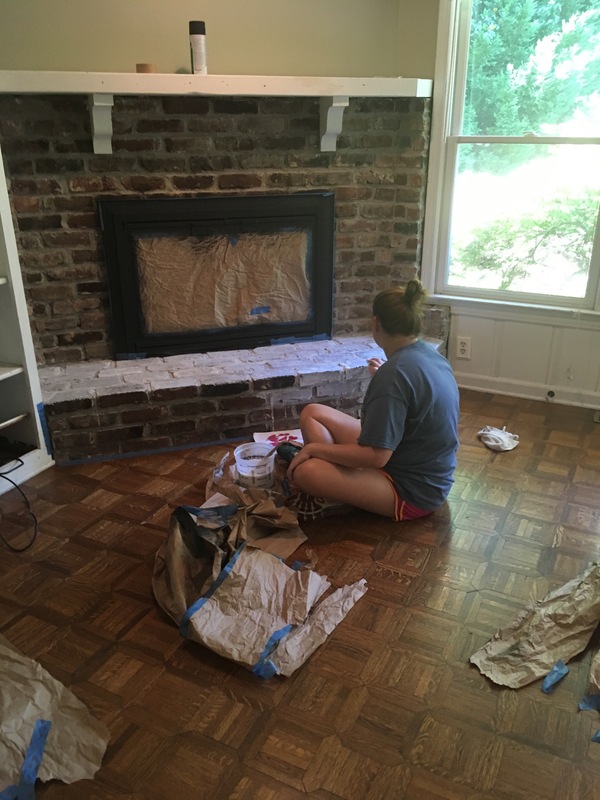 The first project I want to share is updating the fireplace. We still need to paint the mantle and do some wood work from the mantle to the ceiling… but this was a huge face lift on its own! The brass surround really made it look outdated. I recruited my awesome baby sister to help with this part. She did a fantastic job taping the windows and covering the brick so the spray paint wouldn’t go everywhere. Once it was all taped, she spray painted it in about 2-3 coats but it dries really quickly so she was done in less than an hour. We used a high heat Rustoleum in BBQ black- matte finish. I really like the matted look versus going shiny. Once it was dry, I took ALL the tape off and saw how awesome it looked. Next up was the brick. 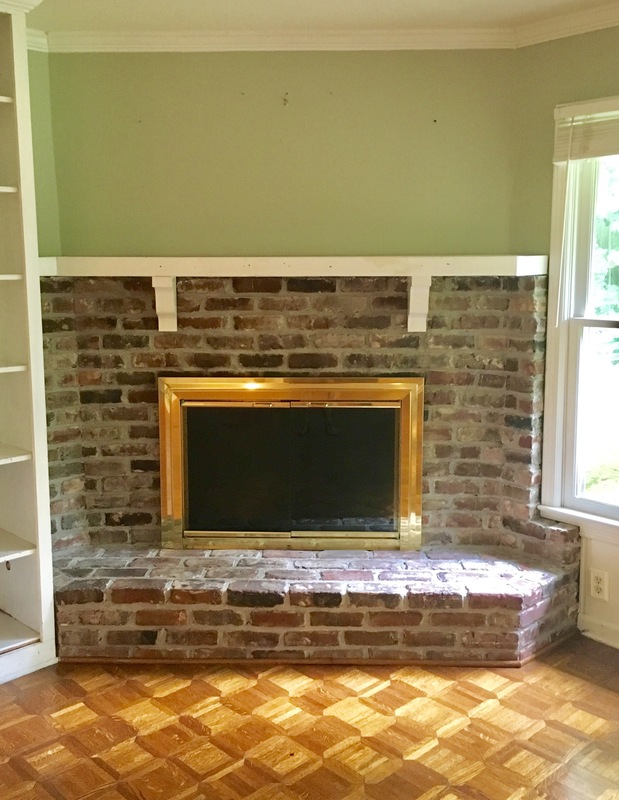 The original brick kept things dark and I knew our room color was going lighter/brighter so I wanted the fireplace to keep up too. I decided to whitewash it to lighten things up. 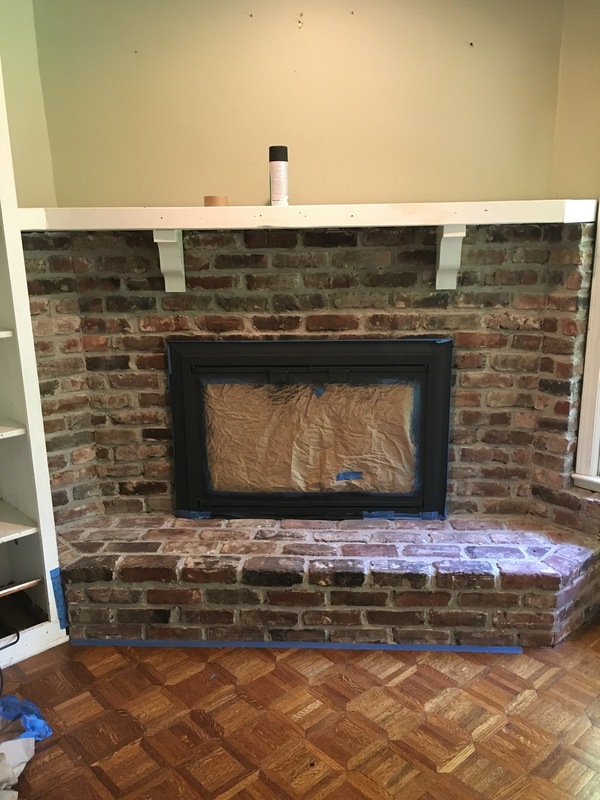 It was a bit nerve wracking to paint over brick. 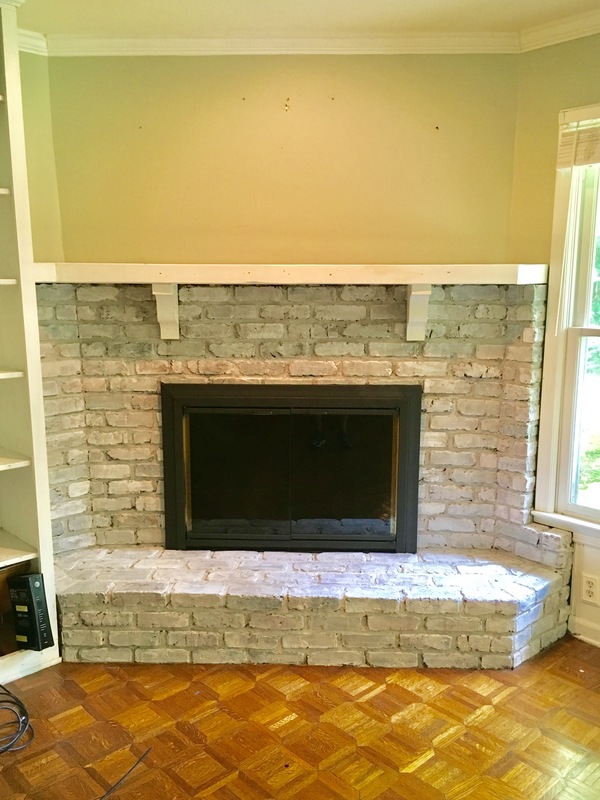 Previously, I painted (think 7 coats) a large fireplace in our first home and I knew I didn’t want to be that extreme with this fireplace (nor work that hard). Next came taping up the freshly painted black surround to keep it from becoming white. After some Pinterest searches for some advice/inspiration, I finally just decided to go for it! I used a 2-1 ration (2 parts water to one part paint- interior latex flat) and mixed it all in a plastic jug. Then I went to work painting/mopping it on. I kept a rag close by for spills. I went a little too thick at the beginning (went over a brick more than once) but then realized it and went less heavy handed on the rest of the project. I think it turned out really well.